With so many mountain bikes on the market these days, it can be a daunting task to figure out which purchase is best fit for you and your personal requirements. How do you know if the bike is made from quality parts that are sourced appropriately and will actually look like the product description when it shows up on your door? How can you trust a company you have never even heard of and have zero experience with? Where do you even start with so many bikes on the market? Well, luckily for you, we have gathered a list of our top seven picks for mountain bikes on the market today. When it comes to finding the mountain bike for you, there are many things to consider, such as your riding style, bike size and of course, your budget. The below list is a mixture of sizes, styles and prices, but the one thing they have in common is quality. We hope this dutifully researched information matches your prospective mountain bike dreams with the ‘perfect-for-you’ bike that you will cherish for years to come. Following the list, you will find our ‘Buyer’s Guide,’ which includes more information regarding attributes to consider when choosing the best mountain bike. When we choose our top picks for a popular product online, especially such an important purchase like a mountain bike, we search for one key factor: transparency. We only choose products that offer a completely transparent purchase, from the time you click search in your Google bar, to the moment the product arrives on your doorstep. We value your opinions and finances and take the proper steps to ensure our best of’s truly are that —the best of. Other key factors we considered when composing this list are previous customer reviews (product history), the product quality in correlation with the price (value for cost) and the company’s track record (customer service). We hope this list provides you with accurate, well-thought out and valuable information to assist you in finding the perfect fit in a new mountain bike! Diamondback has been a strong player in the cycling scene for years now, since they were found in 1977 in Washington USA, originally as a BMX brand. This well-known brand holds a patent for their Knucklebox suspension platform, a high-end feature on mountain bikes, and the company is constantly searching for the next best sub category to deepen this colorful world of mountain bikes. To better understand Diamondback’s bike class system, we will breakdown what their ‘Overdrive’ series is all about and why we have ranked this series as one the best mountain bike options on the market today. The Overdrive series of Diamondback bikes are for mountain bike enthusiasts- they offer classic builds that can satisfy both the expert and the beginner. There are ten models of the Diamondback Overdrive Series and the basis of why they are so loved is that this series uses classic geometry to optimize technical terrains and all kinds of trails. The Overdrive series has proven to be the most popular of the ‘hardtails’ made by the company, which refers to the mountain bikes focused on trail rides and the type of suspension the bike has. The Overdrive bikes comes come shipped 95% assembled and assembly time is supposedly anywhere from 30-60 minutes depending on your skill level. It is always encouraged to take your bike to your favorite local bike shop to receive help with assembly too! The Salsa Timberjack 27.5+ is a hardtail trail mountain with eleven gears and a light weight aluminum tube set made equally made for sing track as discovering those unknown trails you have always dreamed of. One of REI’s best mountain bike sellers, this mountain bike offers a reasonable price, quality guarantee and amazing specs when it comes to mountain bike performance. This bike uses the latest biking science and boasts super short chainstays to allow for hardtail trail ripping. The Salsa Timberjack offers multiple models but the NX1 27.5+ is by far it’s most popular sold hardtail mountain bike. It can be accommodated for both 27.5 inch and 29-inch wheels, making it a good fit for those who might not be positive on what size wheels are best for their style of riding. The specific model is a fusion of Salsa’s top shelf 6066-T6 double and triple butted tubing in the main triangle with 6061-T6 chain and seatstays that create a light, responsive and long-lasting frame made for the trails. Purchase of a Salsa Timberjack NX1 27.5+ includes an owner’s manual, frame sheet and set-up instructions for a user-friendly experience. This BEIOU Carbon Fiber Mountain Bike is one the top-tier when it comes to high-end mountain bikes and if you have it in your budget, BEIOU is one of the best on the market. Slowly making its way into the American market, BEIOU offers the highest quality in hardtail mikes, and these total carbon-fiber frames offer some of the most lightweight and durable bikes around. This bike weights in at just over 10 kg, which is quiet the feat in the mountain biking world. The bike features a hydraulic brake system integrated with Shimano components that use M6000 technology, some of the best in biking science today. The BEIOU carbon fiber line also includes their incredible 26-speed system, which allows gearing aimed at optimizing your control as you speed through those mountain trails. The tire specs are Kenda 26 inches by 1.95 inches and the bike comes in three body sizes (15, 17 and 19 inches) to fit your personal needs. When it comes down to it, the BEIOU is a high-performing, high quality and lightweight mountain bike that can take on some of the most challenging and extreme mountain trails. This bike is perfect for you if you are looking for functionality and affordability rolled into a mountain bike that will last you for years to come. Sizing: s=5'3-5'6", m=5'6"-5'9", l=5'9"-6', xl=6'-6'4"
Raleigh Bikes have been a staple in the mountain biking scene since Richard Morriss Woodhead in Nottingham, England founded them in 1885. The Kodiak 2 is a classic and instantly loved option when it comes to hardtail mountain bikes. Raleigh describes this model as a ‘solid mid-level mountain bike with the latest 27.5 plus tires for more traction on the trail, better handling, and the ability to roll over just about anything in cushy comfort. It’s simple, good quality, reliable, looks good and ride great!’ This bike is one of the pricier options on our list, but for good reason. These bikes will last forever and provide everything you need in a mountain bike. The Kodiak 2 is ideal for those rugged trails and is designed with tried and true alloy plus frame design with a tapered head tube, front and rear thru axles and air shock. Hydraulic disc brakes allow for safe and controlled speed on almost any trail and through all weather conditions. The Kodiak 2 offers one of the most comfortable and effortless mountain biking experiences around and if you are able to make the investment, we highly recommended the Raleigh Bikes Kodiak 2 Mountain Bike. For those familiar with REI’s insanely amazing CO-OP department, this Co-op Cycles DRT 1.1 Bike is a perfect mountain bike option for those leaning on the side of affordability. The DRT 1.1 is made for rugged trail adventures and features a versatile 3 x 8 drivetrain with the control and stopping power that comes with hydraulic disc brakes. There are 24 gears on this 6061 aluminum Co-op Cycles DRT 1.1 mountain bike. The S.R. Suntour XCT 27.5 suspension fork fives you 100mm of travel for a smooth ride with control. The reason is it on our best mountain bikes list is due to the price. $$ for a quality, safety-driven mountain bike is hard to beat, especially when it comes to REI’s 100% customer satisfactory guarantee. The versatile gear settings allow for power uphill as well as speed downhill, a factor that is very important to mountain bikers, whether veterans or newbies. Regardless of weather conditions, the Tektro hydraulic disc brakes with offer the control needed to push away fears and bring on the fun! Another reason we love this bike are the wonderful customer reviews from both avid trail riders and beginners alike. The Vilano Ridge Mountain Bike is one of the most affordable options on our list and offers a perfect option for those looking for a more versatile bike that is not only great on trails, but roads and streets as well. The Ridge 1.0 MTP offers a butted 6061-aluminum frame, mechanical disc brakes, a suspension fork with lockout, mag alloy 26” wheels, Shimano 7 speed EF-51 Integrated shifter/brake lever for starters. For the price, you really cannot beat the bang for your buck with this Vilano classic. Because of the great price, however, there are few downfalls to the Vilano 26” Mountain Bike Ridge 1.0 MTB. Assembly is required, and tools are not included. In order to properly set up your new Vilano, you must install the front wheel and brake, the handlebars, the saddle, tune the brakes as well as a few other modifications. In order to properly and safely set up your new mountain bike, it is recommended to take the bike to your local bike shop for assistance in assembly. The KENT Thruster 29” Men’s T29 Bike is the ideal option for someone looking for a basic mountain bike with durable wheels that is also lightweight. The price is practically a steal and for the low price of just over $$, this option is almost unbeatable. However, here the lower the price means a lower quality of bike, which is why it is so important to identify what qualities are most important for you and your new mountain bike. This lightweight bike is made of a 6061 heat-treated aluminum frame with Shimano RS25 Shifters and TZ31 Derailleurs. The 29” by 2.1 inch all terrain knobby tires provide a great grip on trails and the front shocks do a wonderful job of absorbing bumps. The bike offers 21 speeds but one complaint from customer reviews is that the lower gears begin to not transition as well over time. A few other complaints associated with this bargain of a bike is that the owner’s manual is pretty confusing and there is a lot of set up required to properly assemble the bike. We hope the above list helped you narrow down the perfect mountain bike for you whether you have been ready to make a purchase for some time or if your search for the best mountain bike has just begun. As you can see, there are many options, brands, prices and features to consider when picking out the right bike for you, but we hope our list assisted in making your search easier. Before you make your final decision though, consider pondering the following elements first. Budget is usually the biggest factor when deciding to purchase anything in life and can have an extreme pull in quality of the product you end up with. In regard to mountain bikes, the budget can span anywhere from $200 to $4,000 and there are quality choices in everyone’s budget frame. If you are looking for a more affordable option, the last three options in our list are probably the best for you. 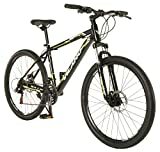 If you have more money to spend, definitely consider a Diamondback, Salsa or BEIOU brand mountain bike. Our rating of each mountain bike and its price has a direct correlation as you can see, but that is why we only put the best mountain bikes on our list. Riding style is probably the most important second to budget in the search for the best mountain bike. We included all trail mountain bikes on our list, because if you are into mountain biking, hardtail trail bikes are the sure-fire way to go! They include the best brakes for control, speed and safety and overall are lightweight and great for all sorts of trails and conditions. Sizing and fitting yourself to ensure you are buying the best ‘for you’ mountain bike is one of the most important factors to consider when buying a mountain bike. Whether you a trail veteran or a brand-new rider, it is always a good idea to head to your local bike shop and have a proper bike sizing done. 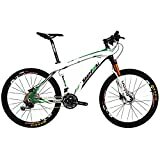 Most mountain bikes come in the standard S, M and L sizes that are usually similar across all brands. If you are able to buy in-store, taking a test ride is also the most sure-fire way to ensure you are comfortable on your new bike and that the fit is correct. Many of us have fond memories of watching or playing golf with parents and grandparents. Whether we kicked around the golf cart, played a few rounds in the backyard, trying not to break the neighbor’s windows, or actually got to play games, the game of golf is both a great sport and a little bit of childhood wrapped in one. If you’re new to the game as an adult or teen, or just in need of replacing your clubs, finding the right set of clubs can be difficult, unless you already have a favorite brand. We’ve pulled together a list of the best golf clubs for men and women to make the process easier, but we also wanted to share some of the fascinating history behind the wonderful game of golf. The game of golf that we play today, of course, has evolved over the centuries. In the beginning, golf clubs were merely bent sticks or clubs, and the golf ball was simply a pebble or small rock. The actual origin of the game of golf is a bit up for debate, but most people accept that the game started in Scotland during the Middle Ages. The game first took form around Edinburgh, the royal city of Scotland, and quickly grew in popularity. The game particularly became popular with those in the military. The nation’s pursuit of the game actually led to many neglecting their military training. As a result, the parliament in Scotland banned the game in 1457. It wasn’t until 50 years later that golf was permissible again. During that half century, however, many people ignored the ban and continued playing. In 1502, however, King James IV of Scotland became the first golfing king, and thus the ban was lifted. Over the next few centuries, the royals not only lifted various bans on the game, such as the Sunday ban, but also created national and international matches, including the first international golf game between Scotland and England. This first international match was held at the premier golf course at Leith, near Edinburgh, in 1682. The Duke of York and George Patterson represented Scotland, and beat the English in the match. There were golf “academies” beginning in the 17th Century, though they were almost exclusively attended by nobility and royalty. The first golf club opened in 1744, which is when it’s said that golf became an official sport. This club kicked off other competitions, specifically annual competitions, that resulted in prizes of silverware. When tourism in Scotland expanded due to railroads and royal praise in the 1850s, golf’s popularity grew. New golf balls that worked better than previous forms helped the expansion, and more golf courses opening only increased popularity for the already thriving game. Professional tournaments began in 1860 with the first British Open tournament. After that, the other three major tournaments came to life. The first golf game broadcast on television was out of St. Louis, Missouri, in 1947 when a local station broadcast the game to its local viewers. Six years later, the first national broadcast of a golf game was the 1953 World Championship of Golf, played near Chicago. Interestingly enough, what got that particular game broadcast was the significant purse of $25,000, rather than the game itself. Stroke – A swing of the golf club intended to hit the golf ball. Par – The number of strokes an accomplished player should take to get the golf ball in the hole. Birdie – A hole played by one stroke under par. Eagle – A hole played by two strokes under par. Scratch Golfer – Someone who normally plays holes of golf on par or better. Ace – Hitting the ball only once to get it into the hole. Also known as a hole-in-one. Golf tee – The small piece of plastic or wood that raises the ball off the ground at the opening stroke of a hole for each golfer. Teeing ground – The place where each golfer starts the hole, with their golf balls on tees. Green – The specially maintained grassy area around the hole. This is where putting takes place. Fairway – The well-maintained area between the tee and the green. Putt – The shot played on the green, using a putter. Back Nine – The last nine holes of a full eighteen-hole golf course. Caddie – The person who carries the golf bag, and offers advice to the golfer. Only caddies and golf partners are allowed to give advice to a golfer during the game. Casual Water – Any temporary water on the golf course. This may come from melting snow, after a rainfall, or any other event when water ends up outside of the established water hazards on the course. Course Rating – The number of strokes per hole assigned to a course, based on how a scratch golfer should be able to play the course. Dimples – The intentional indentations on the golf ball. Dogleg – When a fairway is straight for a bit, but then takes a curve to the left or right. Double Eagle – A hole played by three strokes under par. Also called an Albatross. Fore – Shouted by a golfer after he or she hits a ball that may hit others on the course. Handicap – A number assigned to golfers of higher skill levels to even out the playing for others. Hazard – Any permanent obstacle, like a sand trap, or water trap, that is on the golf course. Bogey – Taking one more stroke than par for a hole. Yips – Thought to be a psychological problem that causes golfers to lose control of their hands and golf club. Stance – The position of a golfer’s feet when preparing to take a swing at her golf ball. There are a variety of stances, including a closed stance, open stance, square stance, or a croquet style stance. A golfer may adopt different stances throughout her game. The 19th Hole – This one’s extra critical. It refers to the clubhouse bar. With a rich history, golf has remained a passionate sport of many people around the world. This passion has demanded improved courses, better instruction, and excellent equipment. There are more than 50 well-known golf club manufacturers around. For those who don’t know anything about golf, any of these brands would do. But for anyone who takes golf seriously, a quality club will make the difference between a mediocre game and quality play. There are a variety of types of golf clubs. Each type is used for a different aspect of the game. Drivers – Used for long-range hitting. Wedges – Designed for getting balls out of hazards, like sand traps and bunkers. Putters – Used for sinking the ball from the green. Irons – Smaller heads and shorter shafts give a different kind of leverage. You will need a few different irons for optimum play capabilities. Fairway Woods – Also used for long-range strokes, but work on the fairway and do not require a tee. While it may not seem necessary to some, there are differences between men’s and women’s golf clubs. Typically, a woman’s club is shorter, lighter weight, and has more flexible shafts than a man’s golf club. If a woman is more in the range of the “average” man’s height and strength range, she may wish to consider men’s clubs instead of women’s clubs. The reverse is true. Having the right style, size, and weight will make the difference for your game. Before deciding on any club, however, you should consult your instructor on your needs. We’ve pulled together information on some of the best golf clubs for men. Be sure to check out specs, read reviews, and ask the pros about any others they might recommend. This driver from Titleist offers a combination of classic style and modern technology for your golf play. The weight in the sole allows for adjustment that promotes draw, and the angled shape of the head helps to prevent spin. The TaylorMade M3 is perfect for mid and low handicap players looking for maximum adjustability and cutting-edge technology. This driver is a game-changer because of the technology in the Y track, which allows precise placement of the weight, front to back and side to side. The M3 is a serious power hitter that helps off-center hits fly towards the fairway more often with other drivers. Golf Digest ranks this particular club as one of the best on the market. The weights in this iron work great for that off-center-hit stability you’re looking for in an iron. It also looks pretty cool. The Odyssey EXO 7 is a large, but not too large, putter. It’s easy to see and keep to your line with this putter, and helps using this club feel automatic. Experts have used it, and some said it felt like their ball was on rails, headed straight to the hole, staying aligned with the direction in which the putter sent it. The Odyssey EXO 7 also offers seamless transition to the bag, and has consistent distance control. This iron for women is designed with a larger head to enable the golfer to hit balls from a variety of lies. Some golfers have stated that the club has dramatically improved their shot. The driver offers high forgiveness, and incredible launch, which means a greater distance on your shots. This beautiful driver from Ping is designed specifically to maximum performance for those with a slower swing. The Rhapsody is lightweight and forgiving, and drives a powerful launch. Off-center strikes are no issue for this club, and offers a variety of settings. The carefully placed ridges on the driver reduce drag, and increase speed. The M2 Rescue for women is specifically designed to allow players to replace a long iron with a more draw-based performance hybrid club. Deemed as having exceptional feel and sound, this beauty can help improve your game through its unique engineering and geometric design. If you’re buying some clubs for yourself or a loved one, these drivers, putters, irons, and woods should do the trick. The pros love them, and amateur golfers believe these clubs have improved their games. Be sure to check with your instructors or long-time golfing friends before purchasing a new set of clubs to learn your exact needs, then go have some fun looking at the reviews. You’ll find the right clubs in no time. So, you have bought your first skateboard, and you are ready to start riding. Where do you begin? There are several vital tasks you should complete before attempting anything too crazy at the skatepark. It is important to make sure you are fully prepared for what is to come, for your safety and to make the learning process as easy as possible for you. Some of these processes may seem incredibly basic and trivial to you, but it is important to condition yourself before attempting anything challenging. Here are some steps to ease you into becoming an experienced skateboarder- you will be tackling caberiall kickflips and impossible ollies in no time! It may also be a good idea to stand on the board on a soft surface first, that way you are used to standing on a skateboard before trying out asphalt. For example, a grassy flat lawn or even your living room carpet would work great as a place to practice. If you have friends or family that are able to join you while you practice, you are able to get input and advice from someone who is watching from a different perspective. This can be important, especially for standing in a way that won’t make you uncomfortable or injure you in the long run. They can also be a help if you do hurt yourself, that way you are not completely alone when it happens. While it may seem silly to take so many precautions for such a tiny board, your body may very well thank you later. The first step to becoming a great skateboarder is being comfortable with yourself and your board. To do this, there will be a lot of trial and error. You will need to find the most comfortable stance for you-one foot in front of the other. Practice this by simply standing as you would on a skateboard and see what is the most natural to you. Once you have decided on a specific position for standing on your skateboard, start practicing the simple act of mounting the skateboard and pushing off with your back foot. Yes, it seems mind-numbingly simple, but you will thank us later! For mounting the skateboard and pushing off with your back foot, there are some additional points to consider as well. Make sure that your front foot is in ahead of the front truck bolts and angled toward the nose of the board, and your back foot should be over the back truck bolts. When pushing off, take your back foot off the board, focus on your balance, and lean forward gently while bending your front knee. Then firmly press off of the pavement with your back foot. As you begin to move forward, put your back foot back in its original position. Having the ability to stand comfortably and push off safely will be the best foundation for your skateboarding. The saying “practice makes perfect,” cannot be overstated. Nothing can take the place of hours upon hours of perfecting your technique while learning how to skateboard. Find yourself a decently flat driveway, parking lot, or other flat surface and spend a few hours working on the basics. Not sure what to practice? Start with the basics-taking turns, using your back foot to brake, stopping and starting, etc. Turns are one aspect that especially need quality practice time, simply because they can be extremely sharp and tight depending on where you are making them. Start with wide, easy turns that can be made anywhere and work your way up to sharper and more complicated ones. Once these have been mastered, you can start with more complicated tricks. However, it is important to keep up on the basics- make sure those skills are honed even when you become an expert on skateboarding. To conclude these tips for how to skateboard properly, always make sure your safety is the highest priority. If you are safe, practical , well covered, and smart about practicing this sport, you will be able to go as far as you want to with this skill. Getting started and taking those first steps are the hardest part, by getting your skateboard and doing the research, you are most of the way there! Are you a skateboarder? Which tips were the most helpful to you as a beginner? Which do you still use today? Do you enjoy working out and pushing your body to the next level? A Spartan Race might be just for you. If so, you should consider training for Spartan Races. They offer different skill levels, endurance options, and varying obstacles to meet you where you’re at (and push you a little further, too). You can find these races in 30 countries around the world – including the United States. Those who participate in the races will tell you they aren’t just about athletics – they’re a way of life. The Spartan mindset is based around a few ideological principles. A strong body requires a strong mind. Pressure is required for growth. Participating holds you accountable and reinforces responsibility. The point of the race is to create a healthy synthesis between the body and mind. If you think you’ve got what it takes to participate in one of these exciting races, you have six very different options to choose from. Each race is specially designed to push you past your limits. If you skip an obstacle, be ready to complete 30 burpees. The first four races progress from “Sprint” which is the easiest (well, as easy as it can be) to “Ultra” which is, as the name implies, ultra-difficult. In addition to the tiered races, The Spartans brand offers two other races: endurance and a special design for kids. Here’s a little breakdown of what you’ll get yourself into with a Spartan Race. Put your mental and physical endurance to the test. No fastest average finish time. You’ll be lucky if you finish at all. Sorry, but they don’t let adults participate in the kids’ races. Still, here’s an idea of what the kiddie versions look like. Either half mile, one mile, or two miles depending on age level. If you thrive in unusual environments the endurance races might be more your thing – these are way more than just running. The Spartans brand offers a few different options for different endurance skillsets. Each event is designed with its own distance and course activities. The Hurricane Heat is a challenging team activity – this race also offers a 12-hour option. Yes, a 12-hour race! The Spartan Agoge is a high-intensity race based on the Spartans’ principles from the 7th century BC to create the strongest warriors possible. These special events take place in historic locations so you don’t just get a fun activity, you also get to participate in a cultural event. So, now you’re ready to participate in a Spartan Race, aren’t you? Even if you work out on a daily basis, it’s important to understand the Spartan training for these particular events. The Spartan website offers special training videos and programs to get you into fighting shape and beyond. You can also check out their locator and see if there are any Spartan classes in your area. Spartan training is based on the same principles as the races: mind and body synergy. Spartan realizes that although you may train on your own, you probably don’t have access to the obstacles they include in the races. That’s why they offer a unique obstacle training guide to help you prepare. Sorry, but you now have no excuses. Yes, but what about the obstacles? What are they? They sound like fun, right? They do look pretty fun – if you’re up to it. Here are some of the Spartan Race obstacles you might find in your next event. Are There Any Spartan Races Near Me? Spartan Races pop-up all around the world so chances are, there is one in your area.